﻿ How Can Security Experts Help With Home Security? How Can Security Experts Help With Home Security? Many homeowners think that a swift response time is important to stop a criminal activity. However, did you know that a security expert performs a more important role in forcing intruders away when compared to a fast response from the law enforcement officers? Even though many people think that their home is secure, it is essential to note that safety of the building or home is still at stake. Home security risk assessment is the process of analyzing the security of the residential place and detecting the interstice that may possibly be dangerous to everyone. The purpose of security risk evaluation is to strengthen home security to prevent any criminal activities. Before implementing a security system, it is essential to examine the locations that criminals may have access to your premises. A good approach to reduce the security risk is always to limit the number of entrances. The entrances, mostly the main entrance, must have security cameras. 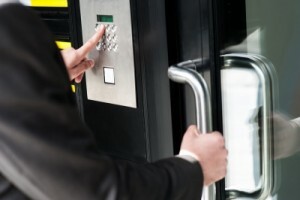 Faulty equipment and damaged hinges pose security risks. The front gate must be well-lit and well-maintained. Visitor logging system is a very useful way to keep the record of individuals who come and leave from your property. Also, it assists in deterring trespassers. An electronic visitor management system that tracks visitor details and identification is a must have for multi-home residential homes. Apart from secure gates, you also include the visitor logging system as well. Costly items are attractive to burglars. They include your car parked in front of the building or maybe the fancy lamps installed in the front or back side of the wall. To avoid this problem, you can have your recreation area built close to your garage or within the building, or transform the basement into a parking place for multi-home properties. Any home without guards is often at the risk of being attacked, despite more security steps to make sure everything is okay. It is important to construct an emergency exit from the building so that the family can escape common types of security breaches. By implementing an alert system on your property, you are able to protect your people and belongings inside the property. But it is essential to also reflect on the options available for alarm performance. Here is what you can get from alarm response security services. Security alarm system companies work throughout the day. When choosing an alarm response company, make sure that you select a company that provides 24-hour service. The company must be able to react to an alert in the day or night in order to protect the property and ensure that any breaches are analyzed. Choose a company that has been offering the services has years of experience in the industry. Whether you are a homeowner or you have an industrial property, it is important to get access to the latest information about what is going in the building. Working with security alarm response professionals who offers reporting services is an advantage to ensure for property owners. Make sure the company you choose to work with is committed to protecting your property and be sure you will be regularly updated on what is happening and why it has happened. Security systems have been in use for a long time now, and with the noticeable advancements in technology, these systems are now providing a heightened sense of peace and security both at home and at the office. With security guards and alarm response security services, both workers and families can certainly feel safer. Comments Off on How Can Security Experts Help With Home Security?